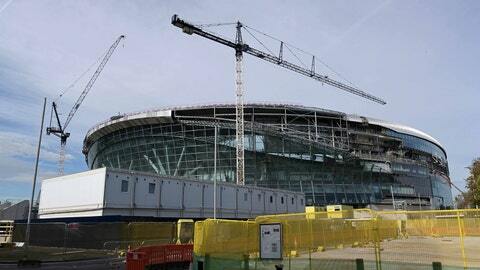 General overall view of the construction site of the Tottenham Hotspur FC Stadium (White Hart Lane Stadium). The facility will feature a retractable grass field with an artificial surface underneath that would be used for NFL games. A minimum of two games per year will be played during a 10-year partnership between the NFL and the English Premier League team. The league returns to Mexico, after last season’s Chiefs-Rams game was moved to Los Angeles because of poor field conditions at Azteca Stadium. On Monday night Nov. 18, the Chiefs will play LA‘s other team, the Chargers.